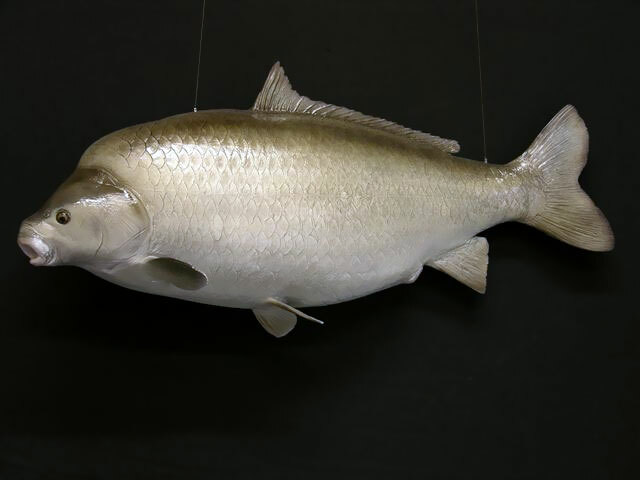 The smallmouth buffalo (Ictiobus bubalus, from the Greek for “bull-fish” and “buffalo”) is a Cypriniformes fish species found in the major tributaries and surrounding waters of the Mississippi River in the United States as well as some other water systems where it has been introduced. It is a stocky fish like its relatives the bigmouth buffalo (Ictiobus cyprinellus) and the black buffalo (Ictiobus niger), although the smallmouth buffalo’s mouth is located ventrally like other Catostomidae species while the bigmouth buffalo’s mouth is terminal and opens forward, and the smallmouth buffalo’s eyes are significantly larger than those of the black buffalo. These three species are superficially similar to the common carp (Cyprinus carpio), but all lack the characteristic barbels.